After many years of longing to live in the UK, I finally got my wish, thanks to my husband, who landed a job in Edinburgh, Scotland. We were both happy and excited at the idea of moving abroad, because back then we had no idea what lay ahead of us. Moving abroad is hell, even when you’re fairly young and relatively unencumbered, as we are. Turns out countries don’t want just anyone moving in from overseas (and we can’t really blame them for that, can we?) so they make it hard to get there in the first place. Now that we’re both here and happily settled in, I thought it might be a good chance to share some of my hard-won expertise in the art of becoming an expat. Back when I was moving, I wished I’d had somewhere I could go and get my questions answered and fears assuaged. If that place exists, I didn’t find it. So now I’m writing it myself. First off, a little advice. 1. Think very carefully about what you’re about to do. You’ve just been offered a job overseas–congratulations! Before you jump on that offer, though, take a little while to really sit down and think about it. This is a long, hard, stressful, expensive process. If you’re in a relationship, sit down with your partner and talk about it. This is going to put an immense strain on you both. The only real knock-down, shouting-at-each-other fight my husband and I have ever had was over this move. We got over it, but if your relationship is fragile, you may want to reconsider the relocation. Think moving to a different state is hard? You have no idea. 2. Do your research. This is a no-brainer, but there are some things that might not occur to you. Find out what others in your position are being offered for your job so you don’t inadvertantly lowball yourself. Push for coverage of all or at least some of your moving expenses. If a company wants you so badly they’re willing to sponsor you, you’re probably in a pretty good negotiating position. Ask family members and friends if they know anyone in the city you’ll be moving to (you’d be surprised at what they turn up) so you can pump them for information on neighborhoods, etc. This is not something you want to be wandering into blind. Work up a budget that takes into account things like council tax and TV license; know your extra fees so you don’t end up being unpleasantly surprised. 3. Get lots of movers’ quotes. Even if you’ve moved before, this is a whole other ballgame. We didn’t know what to expect, but even so, the first quote we received seemed outrageously high. Turns out, our instincts were correct, but we wouldn’t have known that if we hadn’t reached out to a lot of other international moving companies and gotten quotes from them. Since all those quotes tended to be pretty similar, we guessed company #1 was trying to take us for a ride. Don’t be shy about getting quotes and asking for someone to actually come out and take a look at the stuff you’re taking in order to give you a more accurate estimate. I tended not to really trust the companies that just guessed how much space I’d need based on my descriptions over the phone. Really reputable companies should come to your house or apartment and provide an estimate. 4. Figure out what you absolutely must keep, and get rid of the rest. Moving overseas is very, very expensive. In some cases (like ours), it’ll be cheaper to get rid of a lot of furniture and things and buy new once you get to your destination than it will be to take everything with you. Keep the heirlooms and the nicer stuff; list the rest on Freecycle or Craigslist or donate it so it does some good. 5. If you’re moving with pets, start getting your paperwork in order early.The UK is famous for making it hard to bring pets. It’s because they’re terrified of rabies. I’ll cover this in a later post, but you need to have a number of steps completed in a very particular order by a USDA-certified vet. Step one: ask your vet if he or she is USDA certified, and if not, find one in your area who is. Step 2: if your pet’s not microchipped, get it done early, and get documentation that lists the date the pet was chipped. This has to be done at least 21 days before you go, so get it done early so there’s one less thing to worry about. 6. Make sure your own paperwork’s in order. Order extra copies of important documents like marriage licenses, birth certificates, etc., just in case. 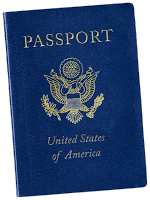 Double-check that your passport’s up-to-date and not about to expire. If it’s anywhere within six months of expiration, get a new one before you apply for your visa. 7. Find a way to relax. As I mentioned, this process is stressful. I lost eight pounds in under two months, and my blood pressure spiked so high my doctor put me on two different medications (and just for the record, I’m in decent shape and under age 30, so yeah, that’s a pretty big deal). My normally fairly easygoing husband started having full-blown panic attacks and had to be medicated too. Don’t become us–find a way to escape the pressures of this move and all it entails, even if it’s just for a little while. Do yoga, play tennis, walk the dog, watch stupid movies, bake (seriously, pounding the hell out of bread dough is a great way to relieve stress), whatever it takes, just give yourself a break and remember: someday, this will all be over and done with. Cling to that. 8. Start saving. If you’ve got money in the bank, great, you’ll need it. This process is not cheap. Just applying for the visa costs $700…each. And if your application is rejected, you have to do it all over again, and pay for it all over again. You’re going to need seed money to get a place to live and pay for groceries and such until paychecks start coming in, not to mention you’ll have to pay movers and buy plane or ship tickets for yourself and everyone you’re bringing along with you. And it never hurts to have a little extra just in case. Start saving those pennies, folks, it’s a rainy day.